Life is already hard enough for minors in Georgia. MIPs (minor in possession), underage consumption, and DUI laws are all very slanted against you as a minor. 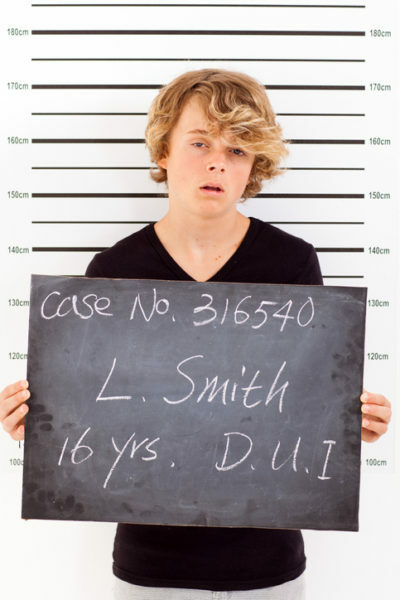 Under Georgia’s DUI laws, minors are defined as anyone who has not reached 21 years of age. For those Georgia drivers under 21, the DUI laws are significantly more rigid, and a ‘zero tolerance’ law is enforced. Under Georgia’s DUI statute, no minors may drive a moving vehicle with an alcohol concentration of 0.02 grams or more of alcohol in their bloodstream. The .02 margin is built in due to the limitations Georgia’s breath testing machines encounters—they simply are not accurate enough and can produce false positives at levels lower than this .02 threshold. Under certain circumstances a DUI will be reduced to reckless driving, and for a person over 21 such a conviction will not result in a license suspension, but only 4 points on their license. However, for a person under 21 at the time of conviction, a reckless driving conviction will result in a 6 months suspension of their license. In such a case, the avoidance of a DUI conviction is a significant victory, but the attorney should also see if it’s possible to actually enter the plea after the clients 21st birthday, as this is literally the only statute that bases suspensions based on the date of conviction and not on the date of offense. If you’re under 21 and facing a DUI charge, it becomes even more critical that you hire a competent DUI attorney to guide you through the court system, fighting your case and protecting your rights. The restrictions on your driver’s license alone are much more severe than for over 21 drivers, with no limited, or hardship permits ever being issued, no matter what your situation—high school, college, internships and jobs—none of these activities allow you to get any license privileges to attend.